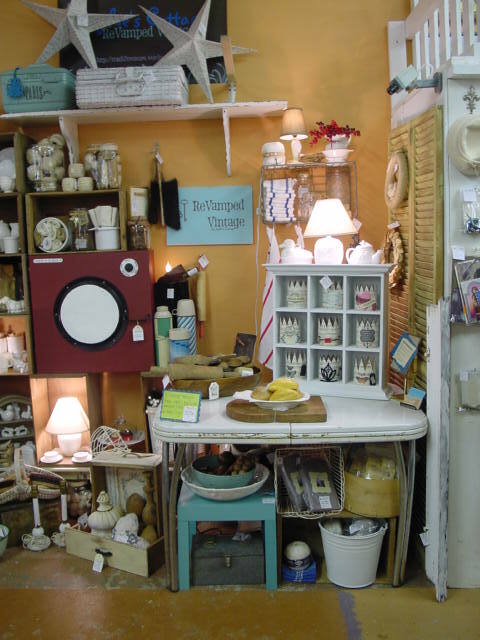 Because you KNOW I love collecting them AND making them! 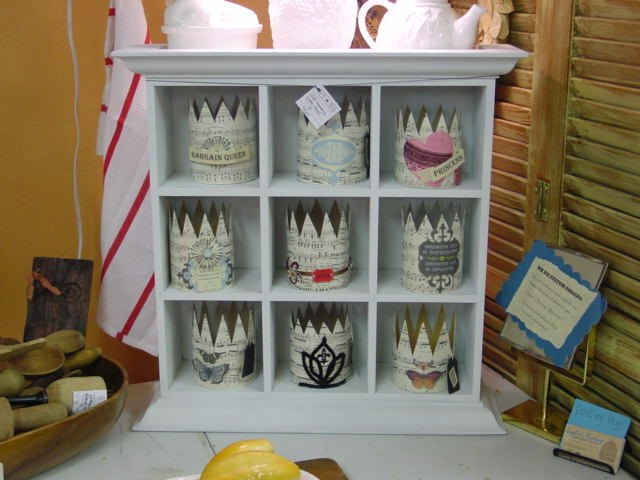 All these crowns have been in my big booth at Stars since just after the spring show. They were just ‘scattered about’. 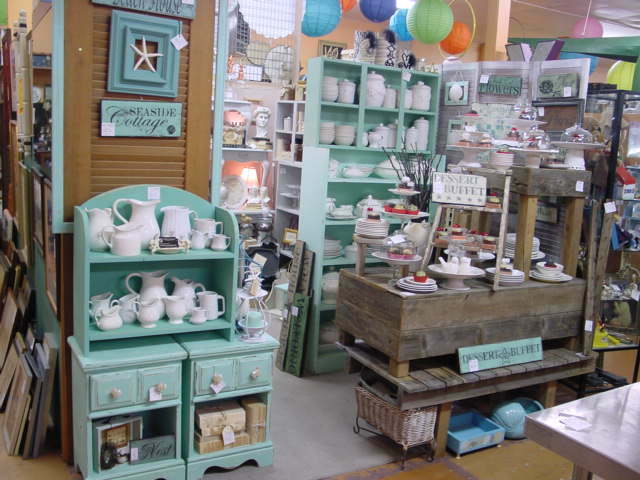 It finally occurred to me that they just might fit in this little white cubby shelf. PERFECT! Meanwhile, over in the big booth I’ve changed things up quite a bit too. 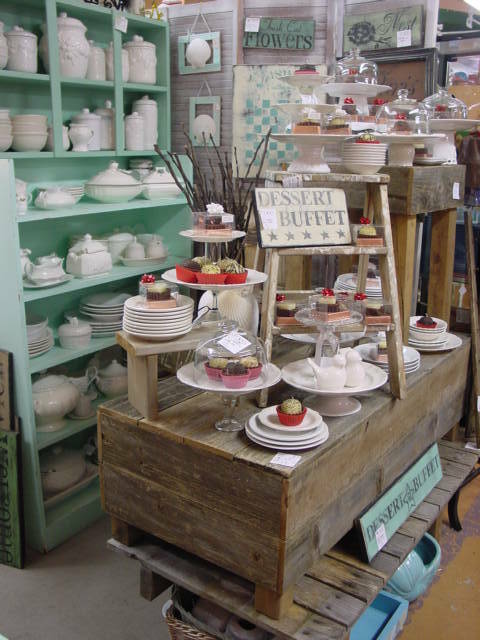 Created an entire ‘dessert buffet’ display on the rustic tables Michael built. 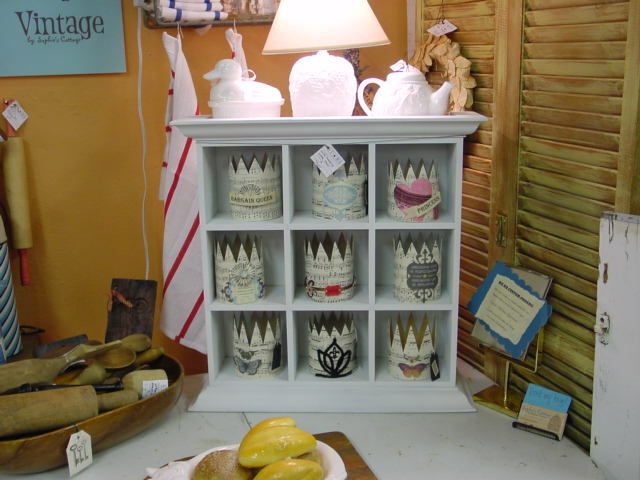 Don’t you just LOVE the crisp white with the weathered grey?? 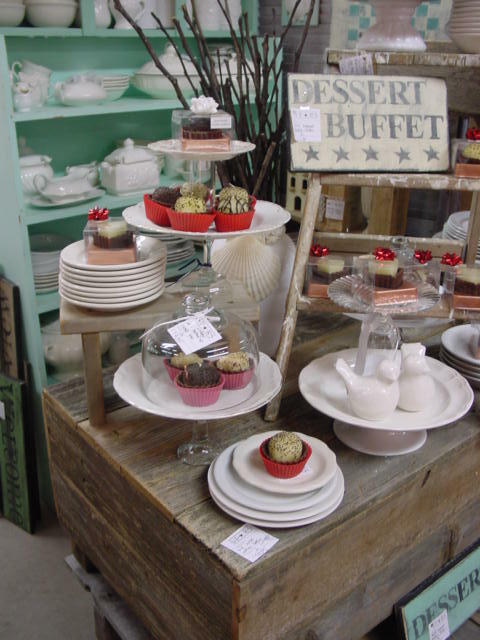 All kinds of assorted cake plates and pedestals, and stacks of small dessert plates. 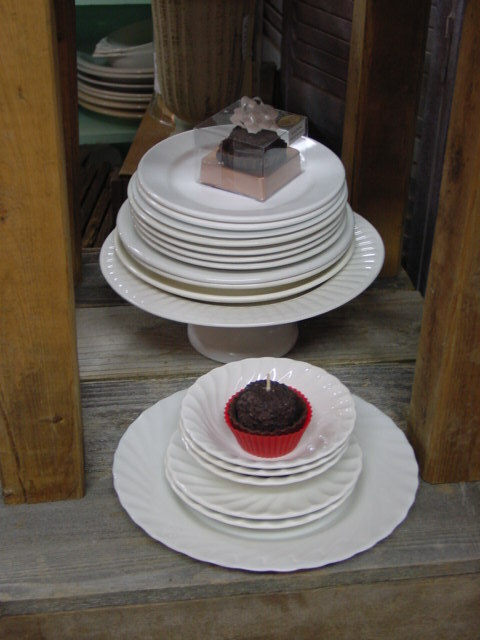 Assorted bases for different heights on the stands with dome lids. 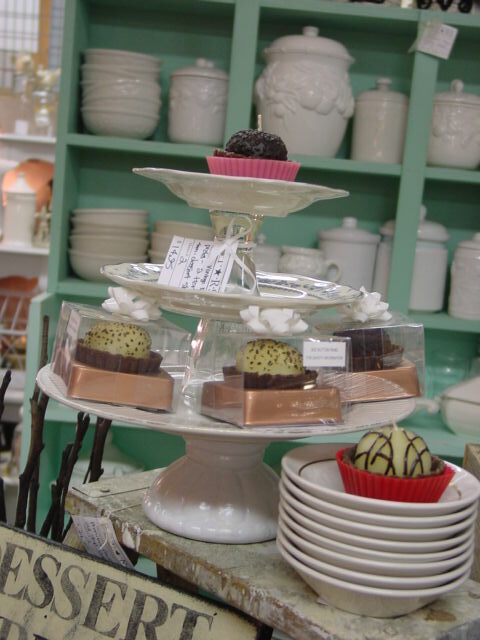 A smaller 2 tier stand can stack on top of a bigger plate to create more height to your dessert display. 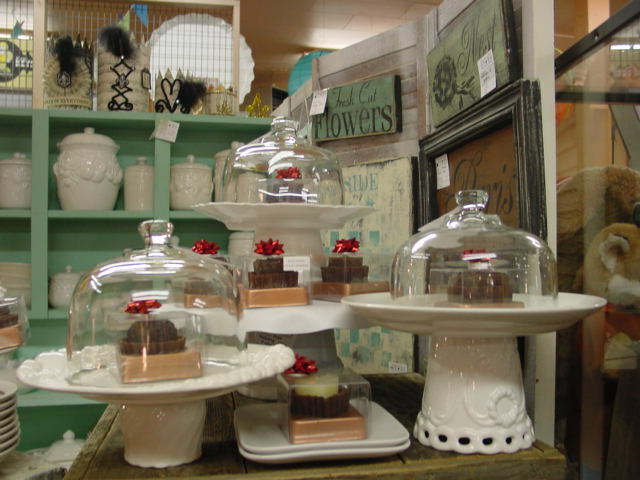 A few single cupcake pedestals. 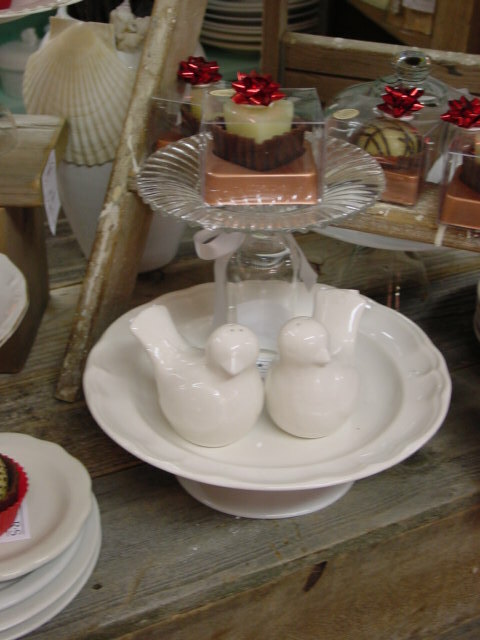 Here a clear one on top of a white platter. 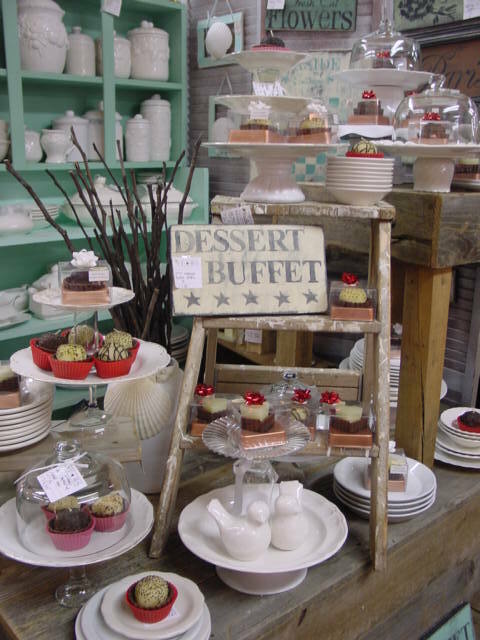 I made a couple of ‘DESSERT BUFFET’ signs too. 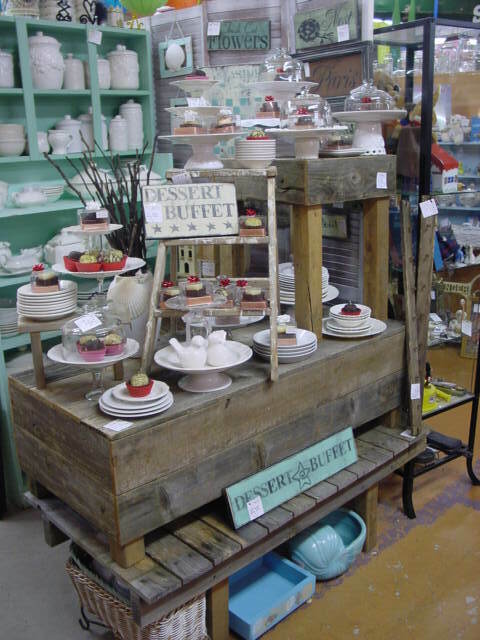 A little old step ladder adds interest and ‘layers’ to the display. 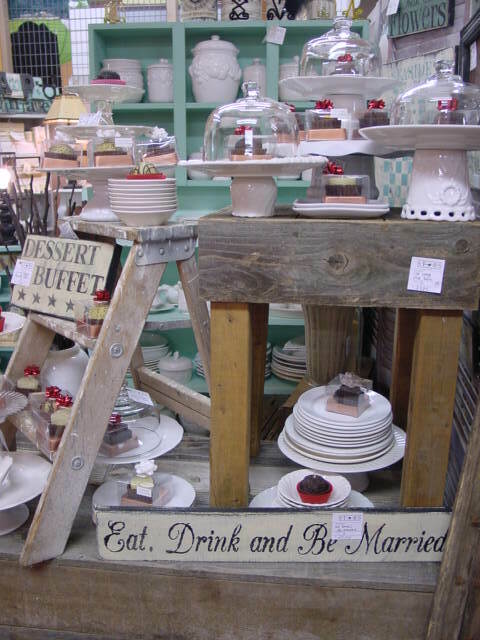 Dessert buffets are becoming very popular at weddings, so I added one of my wedding signs to the display too! 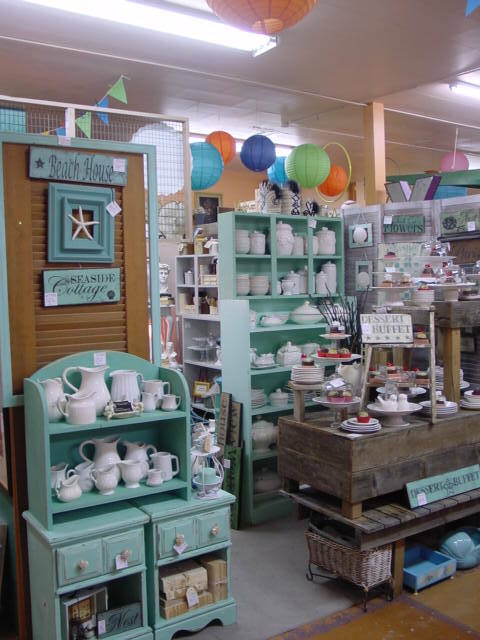 Stop by and see what else is new soon!